Send a speedy recovery gift because smiles are the best medicine. 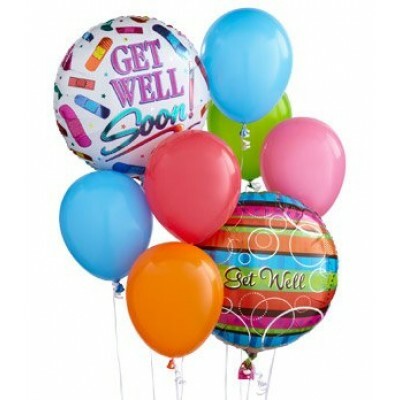 This bright combination of 9 colored latex balloons and 3 recovery themed mylars of the Get Well Soon Balloon Bouquet can turn any frown upside-down! 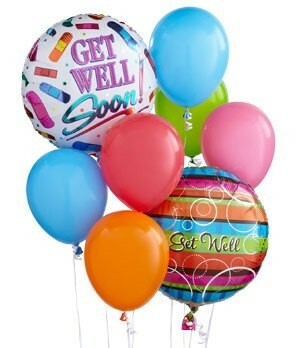 This balloon bouquet features 9 colored latex balloons and 3 recovery themed mylars of the Get Well Soon.